A federal judge ruled that the Lower East Side People’s Federal Credit Union on Avenue B lacks standing to challenge President Trump's appointment of Mick Mulvaney to lead the Consumer Financial Protection Bureau (CFPB). Gardephe said the credit union failed to show that any actual or expected policy changes under Mulvaney, who is also White House budget chief, would undermine its ability to fulfill its mission of improving the health of underserved communities. “Organizations advocating for a particular policy goal who have alleged no injury to themselves as organizations may not establish their standing simply on the basis of that goal,” Gardephe wrote. His decision is dated Thursday. A lawyer for the Credit Union told Reuters: "We are evaluating our options in this extremely important case." In early December, the Credit Union accused the President in a complaint of "an illegal hostile takeover of the CFPB." You can read more on the challenge here. 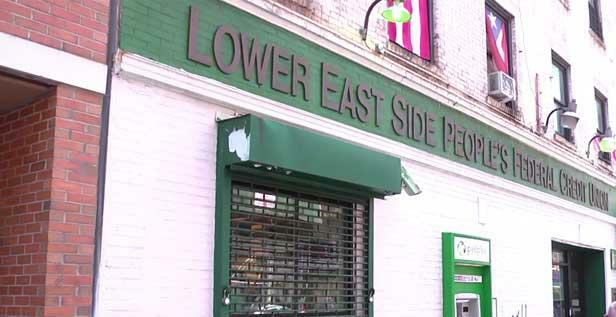 The Lower East Side People’s Federal Credit Union was founded in 1986. Today, it has nearly 8,500 members as well as locations in East Harlem and on Staten Island. Like all of Trump's appointees, Mulvaney (who is bankrolled by banks and payday lenders) has been put in charge to dismantle the bureau. Just last week he took away enforcement power from the unit of the CFPB charged with ensuring fair and equal lending and challenging discriminatory lending practices. In the past few years, this unit won settlements for people of color who were charged higher interest rates than white people for mortgages and auto-loans. This latest move might give the LESPeople's Credit Union more standing if they can challenge that. But likely not. Just another victory for the super-f-ing-rich and white supremacist agenda of Donald Trump. Say hello to unlimited fees on payday loans, junk life and health insurance policies, high interest student loans provided by fake universities, bank fee scams and higher ATM fees, hidden charges on your bank account and credit card statements, and every other scam that Wall Street banks can dream up and re-package into hybrid zombie securities, which they can sell to pension funds and municipalities around the world, with the promise of sky high returns, The good old days of the financial snakeoil salesman are here again. Join the LESPCU or whatever credit union you can join. Proud member of this credit union. Love them.